A/Prof & Marketing Discipline Lead. Sarah is an Associate Professor in Law and Marketing and the Marketing Discipline Leader in the UQ Business School. Sarah is also leading a global sports innovation accelerator at UQ, and has been a judge and mentor for two of these accelerators, including pitching finals during the NBA Allstars event in LA and the Commonwealth Games. She has interdisciplinary expertise in marketing, psychology and law and is globally known for her research and consulting sports marketing and law and has influenced national policy and practice in her fields. She is a Visiting Fellow at Loughborough University, London. Sarah is also an educational specialist, having won awards for her tertiary teaching, and having led the UQ MBA program to a ranking of number 1 in Australasia and number 10 globally during her tenure as MBA Director from 2013-2017. She is widely published in the sports field, with recent projects including sports scandal impacts, sports corruption, mega sporting event legacy, sponsorship metrics, women’s sport and Esports. 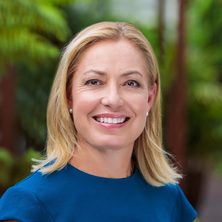 Sarah holds several non-executive directorships, including as Deputy Chair of the Brisbane Lions AFL Football Club, Tourism and Events Qld, The Gregory Terrace Foundation and the Wandering Warriors. She is also a member of the Australian Institute of Company Directors National Education Advisory Board and the State Minister’s Sport Advisory Council. Holly Thompson, Kelly, Sarah and Previte, Josephine (2018) Revealed: how alcohol is at the heart of local sport. Momentum: The business magazine of UQ Business School, . (2017–2018) Mitsubishi UFJ Research and Consulting Co, Ltd. Resolving Anti-Doping Disputes: Does the Current Framework Promote Procedural Fairness and Equality in India? Inventing innovative business models for Veterinary Teaching Hospitals (VTH): Utopia or reality? How can an institution ally profitability and educational goals and perform highly at both? How important is the name in predicting false recognition for lookalike brands? Can alcohol sponsorship be diluted by health messaging? Kelly, Sarah Jane, Ireland, Michael, Mangan, John and Williamson, Harley (2016) It works two ways: impacts of sponsorship alliance upon sport and sponsor image. Sport Marketing Quarterly, 25 4: 241-259. Thompson, H., Kelly, S., Previte, J. and Kelly, A. B. (2016). Understanding What Responsible Alcohol Management Means to Community Sport Club Management Committees. In: 7th International Conference on Sport in Society, Honolulu, HI, United States, (). 2-3 June 2016. Kelly, SJ, Cornwell, TB and Coote, LV (2009). Mellowing Skeptical Consumers: An Examination of Sponsorship Linked Advertising. In: ADVANCES IN CONSUMER RESEARCH, VOL XXXVI. 36th Annual Conference of the Association-for-Consumer-Research, San Francisco CA, (730-730). OCT 23-26, 2008. Kelly, Sarah J., Cornwell, T. Bettina and Coote, Leonard V. (2009). The impact of ambush advertising on consumer memory for sponsor brand. In: 2009 AMA Winter Educators' Conference, Tampa, FL, (). 20-23 February 2009. Kelly, Sarah J., Cornwell, T. Bettina and Coote, Leonard V. (2007). Consumer skepticism and thematically tied advertising response. In: Andrea L. Dixon and Karen A. Machleit, 2007 AMA Winter Educators’ Conference Marketing Theory and Applications. 2007 AMA Winter Educators' Conferencee, San Diego, CA, United States, (104-105). 16 - 19 February 2007.